Polycystic ovary syndrome is a common yet serious health issue for women. There are problems with the ovaries that lead to PCOS pain, and infertility. Are you at risk? Learn more using the below PCOS symptoms checklist and infographic. PCOS pain can put you at higher risk for several health problems. It can lead to diabetes, high blood pressure, stroke, sleep apnea, endometrial cancer, and depression and anxiety. PCOS pain can lead to irregular periods, as well as absent periods. This causes cysts to develop in your ovaries. It also causes infertility. 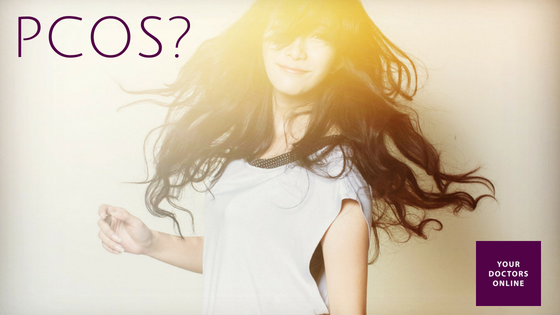 Did you recognize anything on the above PCOS symptoms checklist infographic? In fact, it is the leading cause of infertility among all women. This makes understanding the PCOS symptoms checklist vital. PCOS pain and the serous health conditions it may cause is certainly a call to action for all women. If you have any of the symptoms above, you should talk to a doctor. Our specialists, like Dr. Ossie Holtzman, an OBGYN practicing in Philadelphia. If you have questions about infertility, it may be time to chat for free with a doctor today. Dr. Holtzman’s Professional Profile: With more than 22 years medical experience, my passion for patient care extends to patients in need of prenatal genetic counseling, maternal-fetal medicine, as well as obstetrics. I completed my residencies at Harvard Medical School, the University of Vermont, Fletcher Allen Health Care and Boston University Medical Center. I am board certified from the American Board of Obstetrics and Gynecology for Maternal-Fetal Medicine, Obstetrics and Gynecology, and Clinical Genetics. I am presently practicing at Hahnemann University Hospital in Philadelphia where we already provide medical services to international patients seeking expert care.